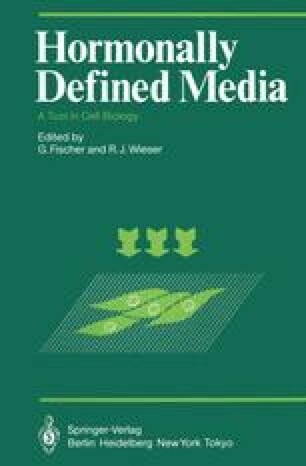 The importance of the extracellular matrix for cell proliferation and cell differentiation has been now established for several cell types (see rev. 5, 7, 9). However in the case of glandular anterior pituitary cells, this question is yet poorly documented. Until recently most attention has been given to the role of hormones, neurotransmitters, or neuropeptides in controlling the secretory activity of these cells. Whether these effects are dependent or not on the microenvironment of the glandular cells is still a matter of speculation.